On October 1, 2003, the Social Security Administration placed an historical marker on the Candler Building to recognize its role as the first operational headquarters of the Social Security system. The Candler Building was built in 1912 by the Coca-Cola Corporation to serve as a bottling factory, warehouse and commercial space. In the 1920s and 1930s the building was at the center of a busy working port, with steamships docking at the Baltimore piers across the street and with the Fish Market and Farmers Market located nearby on Market Place. A number of firms occupied space in the Candler Building before Social Security took up residence there in October 1936. This building was selected because it was among only a few sites in the Baltimore-Washington area that could house the enormous volume of records and equipment required for this operation. The Social Security Board immediately began a nationwide search to hire workers to set up and establish the new Social Security system that was to take effect on January 1, 1937. That initial recruitment effort had to comply with federal civil service hiring regulations of the time mandating that each U.S. state have a proportional share of Depression-era government hiring. 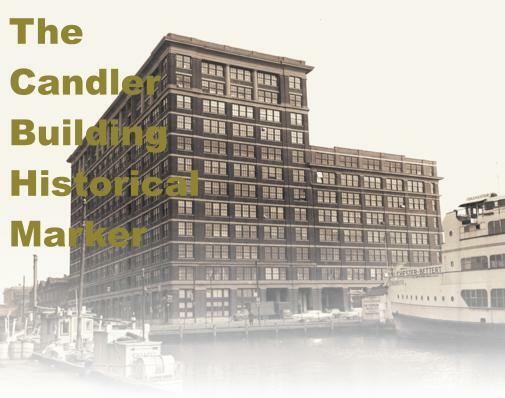 On one day alone in December 1936, SSA hired 940 new employees for its Candler Building staff. By the end of that December there were more than 2,500 employees on duty. When Social Security moved from the Candler Building in January 1960 the workforce had grown to 5,300. During the 24 years that the Social Security program's operational center was housed in the Candler Building, the agency issued 132 million new Social Security numbers, posted over 3.7 billion wage entries to individual records, and paid out about $51 billion in benefits.